WordPress widgets are helpful little blocks that you typically use to add content and functionality to your WordPress sidebar (though you can often use them in other areas as well). WordPress widgets usually handle a specific function and make it easy for you to add features and design elements to your website without needing to know how to code. What Kinds of Things Can WordPress Widgets Do? If you wanted to display 4 posts instead, all you’d need to do is change the setting to 4. Much simpler than trying to code the functionality by yourself, right? Because of how huge the WordPress community is, you can pretty much find a WordPress widget for anything nowadays, which is one of the reasons why they’re so helpful. By default, WordPress comes with a specific set of widgets that allow you to perform basic actions like adding text, images, videos, login information, tag clouds, and more. Every single fresh WordPress install comes with this basic set of blocks. For most uses, these basic building block widgets are all that you need. But there also might be times when you need more functionality from a widget. In such cases, you can get help from a third-party theme or plugin. See, beyond the default widgets that come with WordPress, themes and plugins can add additional widgets to your toolbox that offer added functionality. Sometimes these added widgets are standalone elements. By that, we mean that you’ll configure everything in the widget. Other times, though, widgets help you display specific information from a theme or plugin that you’re already using. For example, if you use a photo gallery plugin to create a gallery of images, that plugin might also give you a widget that allows you to easily display a specific gallery in any widgetized area on your site. While WordPress widgets usually apply to your sidebar, they are by no means limited to your sidebar. Rather, you can use widgets in any “widgetized” area of your theme. For our purposes, widgetized just means “capable of using widgets”. Nothing more! A theme’s sidebar is always widgetized, which is why it’s the most common use for widgets. But individual theme developers can also build other widgetized areas into their themes. Some themes let you use widgets to build your header, footer, and other areas of your site. 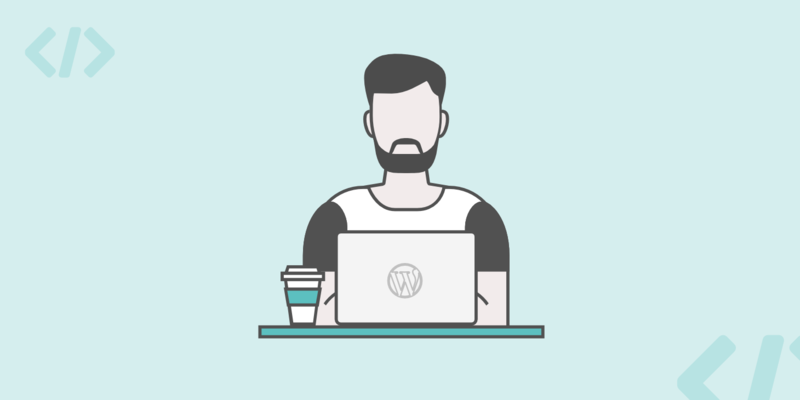 We can’t promise you that your theme does, but in the next section we’ll show you how you can check when you go to add a new widget to your WordPress site. Here’s how to use both methods to add widgets to your site. Once you click on it, you’ll see a list of every single widgetized area on your WordPress site. Because this part depends on your theme, your list might look a little bit different from the screenshot below. In our example, you can see that the default Twenty Seventeen theme has three separate widgetized areas – two for the two different footer areas, and one for the sidebar. You’ll also be able to preview any changes or new widgets in real-time. Each time that you make a change, the live preview on the right side of your screen will update to reflect the modifications. When you finish adding widgets, make sure to click the Save and Publish button to save your changes. If you don’t care about previewing your changes in real-time, you can also use the default widgets area to add widgets to your site. Here, you’ll be able to see all of your available widgets on the left side of the screen and all of your available widgetized areas on the right side of the screen. To add a new widget, all you need to do is drag it from the Available Widgets column to the actual widgetized area that you want to use it in. You can rearrange the order of widgets by dragging and dropping them into different arrangements. And you can also remove a widget by dragging it back over to the Available Widgets column or just clicking the Delete button in the editing interface (more on that in a second). Then, you can edit your widget according to the settings offered by that specific widget. Some widgets just have one or two options, while others will have detailed settings that you’ll need to go through and configure. When you’re finished editing a specific widget, make sure to click the Save button on that widget so that you don’t lose any of your changes. And that wraps up our entry on WordPress widgets! Once you’re more familiar with WordPress, you can even take things a step further and build your own WordPress widget. → What is a WordPress Excerpt?